If you haven't noticed, we've been taking over the Bernina Instagram account for the past two days! We have a few tricks up our sleeves in the upcoming months, so be sure to follow us on social media! 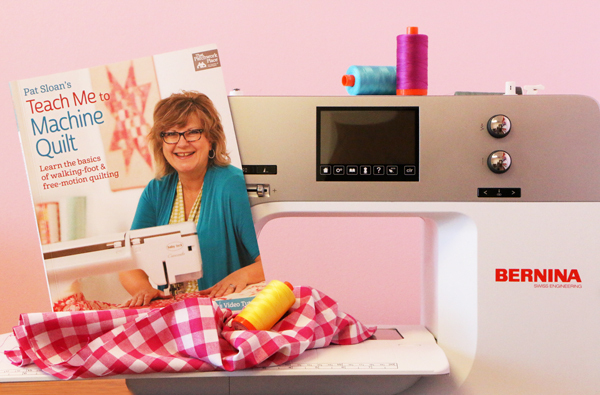 With all of this excitement, what better time than Kimberly's new ambassador status with Bernina to jump on the book tour for Pat Sloan's new book: Teach Me to Machine Quilt!? Whether you're a seasoned professional or just getting into the quilting game, this book is sure to give you some tips and tricks to make your machine quilting as smooth as can be! In addition to the information packed inside this book, there are also some gorgeous patterns and projects! See for yourself!